Telefónica inaugurated the first phase of its massive Alcalá Data Centre project outside of Madrid, which aims to be one of the largest Tier IV data centers in Europe and the world. The first phase, which is now operational, is a new building measuring 24,700 m2, with seven IT rooms covering an area of 682 m2 each. The complete project, which will progress gradually, will cover a total area of 65,700 m2 (over 700,000 square feet) and include a further 16 IT rooms, on a 78,400 m2 plot of land (the size of 8 football pitches). Telefónica, which has invested more than 120 million euros in the project so far, said the new facility is key to transforming the company into one of the leading companies in the new digital world. The data center will be home for the whole range of ICT services, from housing, infrastructures and cloud computing to full outsourcing of customer applications. It will also operate as Telefónica’s cloud services base for Europe and will house platforms for customers in Spain, the United Kingdom, Germany and the Czech Republic. The Alcalá Data Centre uses a modular architecture with redundant energy supplies and communications for each hall. Telefónica expects an annual reliability of 99.995%. Each module will be independent, allowing new rooms to be activated without affecting the operation of the rest. Similarly, the 1,200 kW of IT power for each room can be multiplied up to fourfold without impacting the housed systems. A redundant fiber optic ring connects to the company's Julián Camarillo Data Centre (Madrid), providing mutual back-up in case of faults. The design has Tier IV certification from the Uptime Institute, which guarantees the highest level of fault tolerance. The facility was built by Ferrovial and Master Ingeniería, with technological advice provided by Digital Realty. Telefónica will sell a 40% equity stake in its operations in El Salvador, Guatemala, Nicaragua, and Panama to Corporación Multi Inversiones (CMI) for US$500 million. The deal also includes the payment of an additional amount of up to US$72 million based on the operational performance of the aforementioned assets in the coming years. The implied multiple for the total amount of the transaction means 6.5 times EBITDA 2012 of the companies involved in the operation. Telefónica said the deal increases its financial flexibility while allowing it to maintain operational control. Telefónica is one of the leading brands in the region, with high levels of 2G and 3G coverage. The Company has maintained a long-term commitment in Central America with a sustained investment over the last years. HP introduced a series of software-defined network (SDN) data center switches that deliver advanced automation capabilities and scalability for bandwidth-intensive applications such as Hadoop. The new offerings the HP FlexFabric 12900, an OpenFlow-enabled core switch capable of scaling to meet the demands of increasing virtualized workloads. HP said its FlexNetwork architecture, powered by the new switches, deliver two times greater scalability and 75 percent less complexity over current network fabrics while reducing network provisioning time from months to minutes. "For the past 20 years, data center networks have lagged in supporting new enterprise demands for cloud, virtualization and big data," said Bethany Mayer, senior vice president and general manager, Networking, HP. "Only HP is positioned to deliver the industry's most complete software-defined data center network fabric with innovations that enable our customers to create a network foundation that will meet their needs today and well into the future." The HP FlexFabric 12900 Switch Series is OpenFlow 1.3-capable and offers Layer 2 and Layer 3 features. It boasts 36 Tbps switching capacity in a 23 Rack Units (RU) chassis. The switch delivers 19.2 billion packets per second forwarding for wire-speed performance with no packet loss. Advanced features include MPLS, VPLS and full QoS capabilities. It also supports DCB and FCoE convergence. 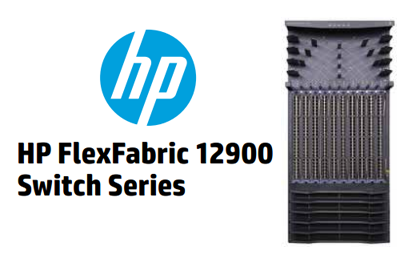 HP FlexFabric 12900 switches are expected to be available worldwide in October 2013. The rollout also includes an HP Virtualized Services Router (VSR), which allows services to be delivered on a virtual machine (VM), eliminating unnecessary hardware, by carrier-class software-based Network Function Virtualization (NFV). This product will launch in the second half of the year. HP is establishing a new Converged Systems business unit to deliver purpose-built technology for social, cloud, mobile and big data solutions. The HP Converged Systems business unit will extend the portfolio of converged application appliances that fuse infrastructure, applications and productivity tools into a single system. This includes appliance systems for Apache Hadoop, HP Vertica, SAP HANA and HP CloudSystem. The new business will be led by Tom Joyce, senior vice president and general manager, Converged Systems, HP. Joyce was formerly vice president, Marketing, Strategy and Operations, Storage, HP. HP also announced the formation of a second new business called HP Servers. 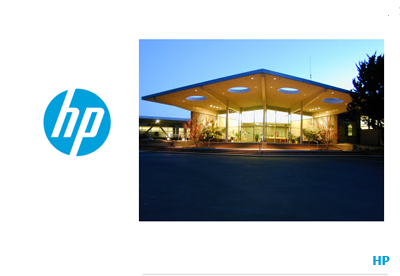 This $4 billion unit combines the HP Business Critical Systems (BCS) and HP ISS groups. Product lines include HP Moonshot; HP ProLiant servers; HP BladeSystem; and mission-critical computing with HP Integrity platform. This business will be led by Mark Potter, senior vice president and general manager, HP Servers. Potter currently leads HP Industry Standard Servers (ISS). Major media outlets, including The Wall Street Journal, reported that President Obama is set to nominate Tom Wheeler as the next Chairman of the FCC, replacing Julius Genachowski, who recently stepped down. Tom Wheeler served as President of the National Cable Television Association (NCTA) from 1979 to 1984 and was later CEO of the Cellular Telecommunications & Internet Association (CTIA) until 2004. He is currently Managing Director of Core Capital Partners, a venture capital firm headquartered in Washington, D.C. with approximately $350 million under management. Portfolio investments of Core Capital Partners include Sourcefire (NASDAQ: FIRE), Inlet Technologies (acquired by Cisco), SwapDrive (acquired by Symantec), IXI Corporation (acquired by Equifax), SilverStorm (acquired by QLogic), Roundbox, Twisted Pair Solutions, BridgeWave Communications, UpdateLogic and Infinite Power Solutions. Other invested companies in the networking field include PureWave Networks (compact outdoor base stations), Univa (management software for traditional, dynamic and cloud data centers), GENBAND (IP gateways, session border controllers and FMC security) and Trust Digital (enterprise mobility management software), amongst others. Verizon plans to spend $100 million in a solar and fuel-cell energy project to help power 19 of its facilities in seven states across the country. The project aims to generate more than 70 million kilowatt hours per year of green energy. 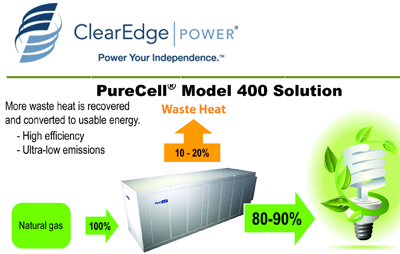 Specifically, Verizon has selected ClearEdge Power, a manufacturer of scalable, distributed power systems, to install PureCell Model 400 fuel cell systems at Verizon sites in California, New Jersey and New York. The systems will generate more than 60 million kilowatt hours of electricity. In addition, Verizon has also signed a multiyear agreement with SunPower Corp. for rooftop- and ground-mounted solar photovoltaic systems as well as solar parking canopies at Verizon facilities in California, Maryland, Massachusetts, New Jersey, Arizona and North Carolina. The systems, which will generate approximately 8 million kilowatt hours of electricity annually. A consortium composed of Vodafone Group, Dialog Axiata, Emirates Telecommunications Corporation (Etisalat), Reliance Jio Infocomm, Omantel and Telekom Malaysia, selected Alcatel-Lucent to deploy a new 100G submarine cable system connecting Oman, the United Arab Emirates, India, Sri Lanka and Malaysia. The Bay of Bengal Gateway (BBG) cable system will have landing points in Barka (Oman), Fujairah (United Arab Emirates), Mumbai and Chennai (India), Ratmalana (Sri Lanka), Penang (Malaysia) and Singapore. Commercial operation of the system is planned to start by end of 2014. Edward West, Chairman of the BBG Interim Procurement Group said "BBG, the first system to be lit as 100G on day-1 will be a step change in capacity on this important route. The bandwidth, resilience and traffic routing of the BBG configuration, and Alcatel-Lucent’s capabilities and track record, give us the confidence that this system will be able to address the fast-evolving expectations of our customers in line with their demands." Telstra has successfully tested Ericsson's terabit optical transmission technology over its real network. 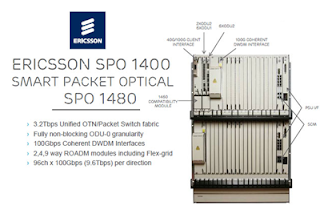 Ericsson has announced it will provide Telstra with the SPO 1400, the latest packet optical transport platform (POTP) for the metro and the MHL 3000 for long-haul applications with 100Gbps service support. The trial tested a 1Tbps line card in the MHL 3000. "This has been over two years in the making, and our teams have collaboratively come together to demonstrate the evolution of technology," says David Robertson, Director of Transport and Routing Engineering, Telstra. "Telstra actually owns the most fiber in the country. To be able to prove that the fiber we have in the ground can carry terabit services is a fantastic position for us to be in." "Like so many developed countries, Australia is a very technologically advanced market and Australians are sophisticated users of broadband and mobile technology," says Alessandro Pane, Head of Ericsson R&D Optical Transmission. "The trial has proven that our existing optical cable plant can support terabit channels along with 40Gbps and 100Gbps channels simultaneously on the same fiber."